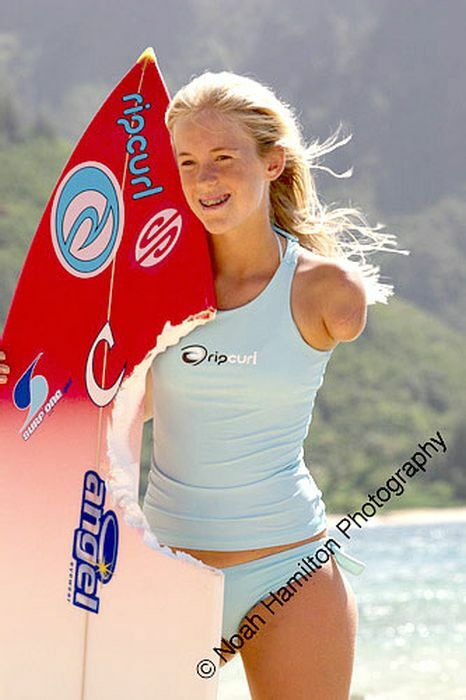 22-year-old Bethany Hamilton lost her arm due to shark attack when she was 13. 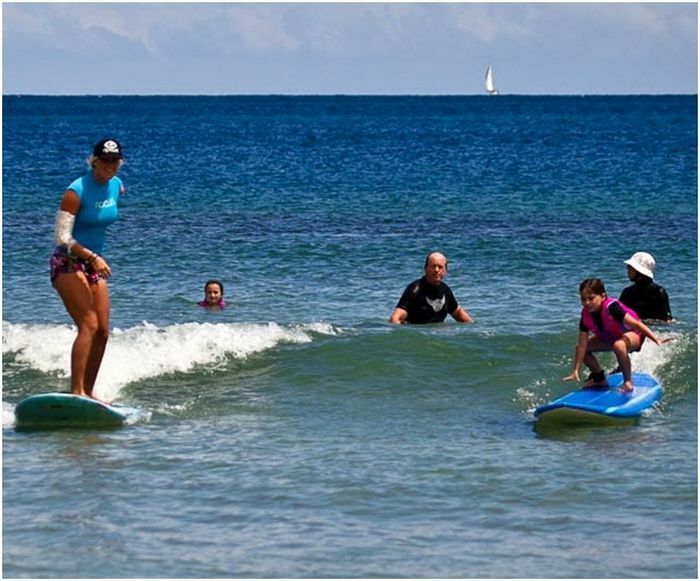 Now Bethany is the most famous one-armed surfer in the world. What? She is missing the left arm. Not the right. 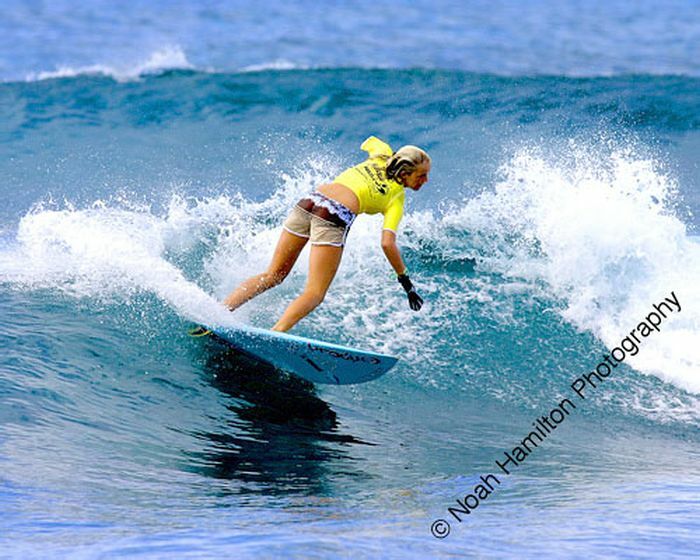 my friends went to visit Hawaii a couple months ago and she was surfing there and she was really nice to my friends and took pictures with them and they got pics of her surfing....was really cool! I was pretty jelly! 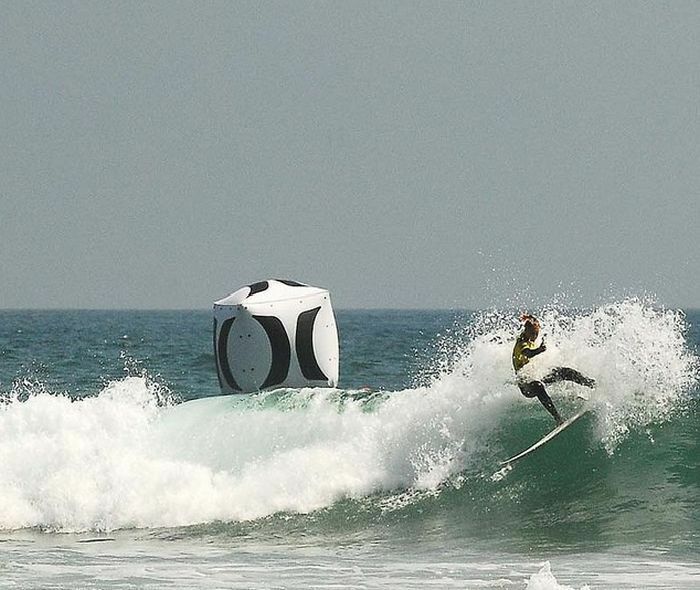 i wonder how many one armed surfers are out there? And possibly one of the cutest, too. Brave Girl got more Balls than most Men,.,.,.